Lo and I met Allessia of Little Lessy at the Alt Summit. We were so thrilled to meet a fellow Vancouverite and when we found out that she works at Lululemon, there was SO much to talk about as we are huge fans! Allessia has made a commitment to eat clean and that’s basically what Laurel and I are doing right now. She told us about a fantastic substitute for pasta……zucchini! You can see on her blog how she prepared it (click here). I found this recipe online.. This recipe is somewhat similar to the one Allessia used, but the zucchini is sauteed with garlic instead of blanched, so it could be served on it’s own as a side dish. But I prefer the method of using a julienne peeler vs. buying an expensive spiral slicer. 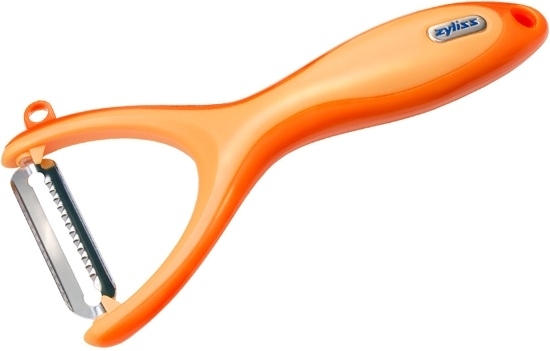 I found this Zyliss julienne peeler at HomeSense for $5.99! Gold I say! This julienne peeler works like a dream. 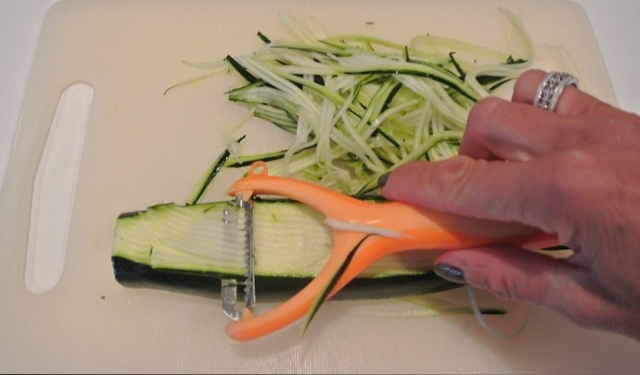 Take two swipes and then turn the zucchini around and it will sit nice and flat making the job even easier! Verdict: Does it taste like noodles, no, but it’s seriously delish. Jason doesn’t “do” zucchini, but he went for seconds!! The pan was wiped out! 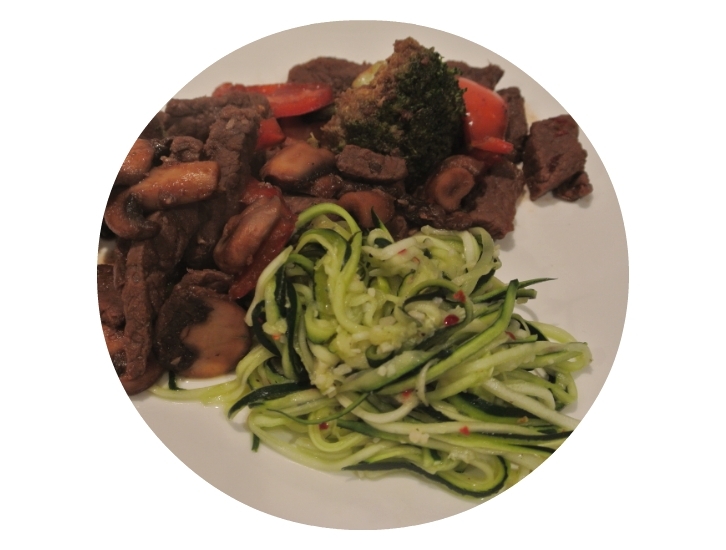 It’s a healthy substitute that’s perfect for stir fries, spaghetti sauce or anything else you might top noodles with! If you don’t like spice, omit the pepper flakes and you’re good to go!